Being a coveted firm, we are indulged in the process of manufacturing and supplying an exclusive range of Industrial Machine. Manufactured from superior quality raw material, this reasonably priced range is specifically designed and developed at our well-equipped infrastructure by our skilled workforce. Customers can avail these machines from us in different sizes, designs, shapes and other specifications as suited to their requirements. 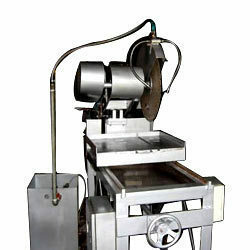 Furthermore, we offer these machines at market-leading prices and provide door-step delivery within the time-frame. We are instrumental in offering our valuable clients a vast array of Copying Machine that are widely used for shaping of the insulator. These machines are fabricated at our state-of-the-art infrastructure with the aid of latest technologies and finest quality raw-material. The copying template used in this range of machines is specifically screwed to the shoe arrangement on the hubs of the slide rest holder resulting in the copying of template shape to the insulator. To suit the variegated requirements of our customers, we are manufacturing and exporting a qualitative range of Brick Cutting Machine. Offered products are manufactured by our experienced professionals using sophisticated technologies and finest quality raw-material. 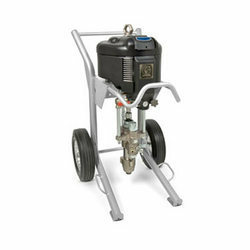 Our products are highly reliable and provide excellent performance as these mixers are fabricated as per the international norms and guidelines. Moreover, we offer these products at the most competitive prices of the market. Being a coveted firm, we are indulged in manufacturing, supplying and exporting an exclusive range of Paint Machine. These products are manufactured using top notch quality raw material procured from authentic vendors of the industry. 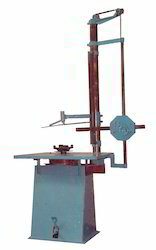 Moreover, to attain maximum satisfaction of the customers, the offered assortment of machines are made as per the industry laid norms and standards. We offer these machines in standard as well as customizable range to cater to the vast requirements of our clients. 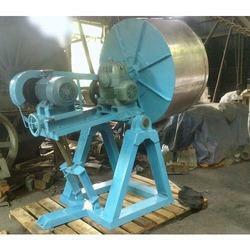 Looking for Industrial Machine ?